There is something about rainy cloudy days that makes me wish I had more sweaters in my closet. Particularly vintage sweaters and to get even more specific, vintage sweaters from the 1930s, 1940s, and the 1950s. 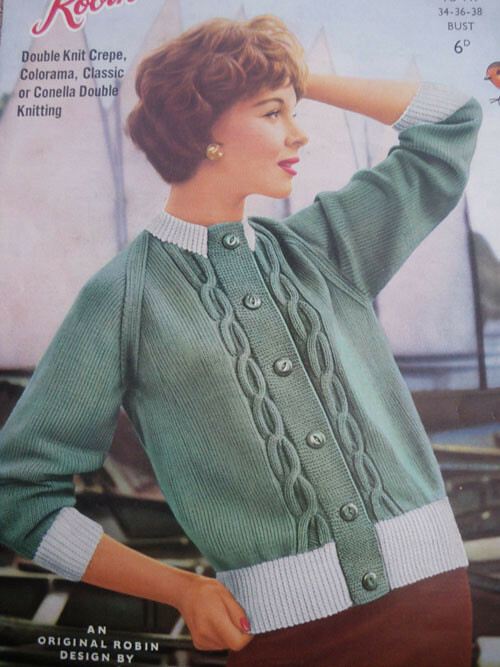 I never seem to spot them on my many vintage adventures, or perhaps it's because I am not really sure how a sweater prior to the 60s should look. 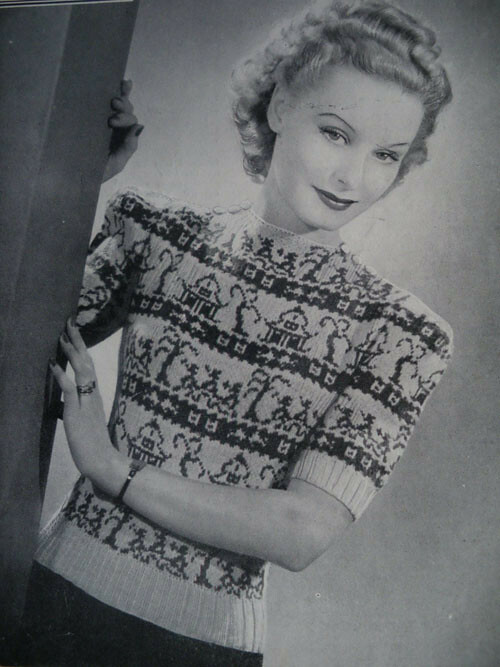 So, to help me, and to help you I hope, here are some advertisements, vintage knitting patterns, and other wonderful images of vintage sweaters from the 1930s, 1940s, and the 1950s. 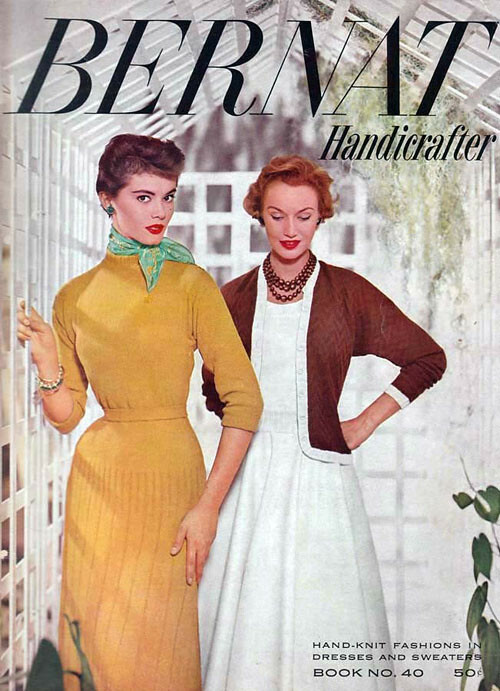 One of the things I noticed about sweaters in the 1950s are the popularity of dolman sleeves and towards the late 1950s into the 60s the shapes got a bit more boxy. (But that's another post!) 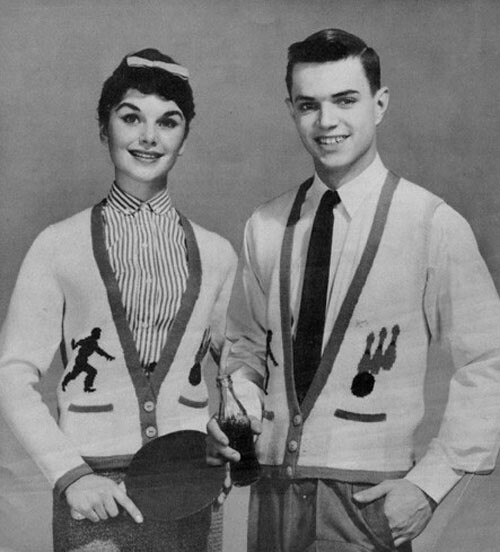 Cardigans and twin sets were also very popular in the 1950s especially embellished styles with fur collars and sleeves or delicate embroidery or fancy beading. 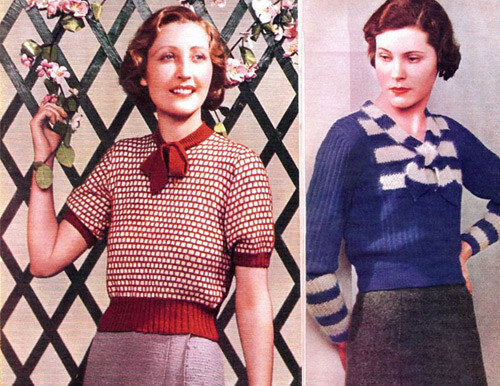 Sweaters and knitwear in the 1940s were a lot more fitted usually with puff sleeved details and ribbed waistlines. 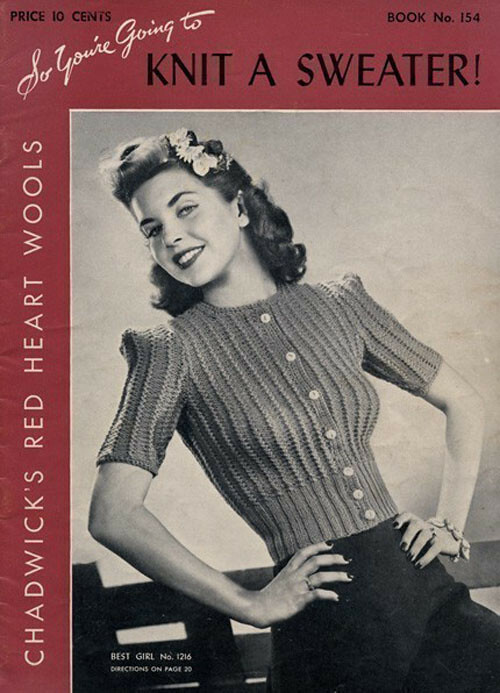 Most of the advertisements and catalog images and knit patterns I have seen for 1940s sweaters they almost always are fitted at the waist and broader along the shoulders. 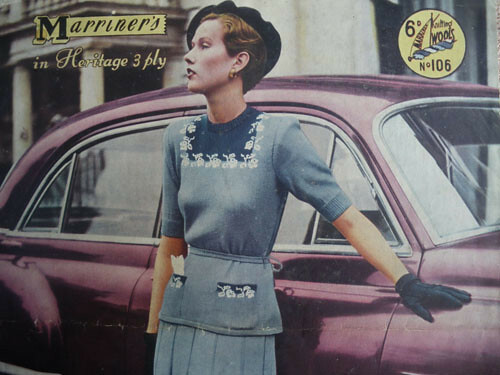 Vintage 1940s sweaters also were cropped shorter in comparison to later versions. 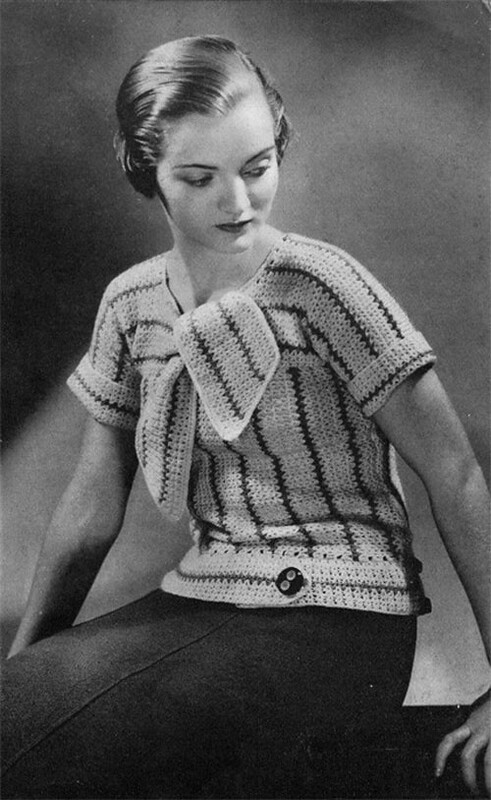 A popular sleeve length for 1940s sweaters appears to be right above the elbows. this is a great post! sweaters are hard for me too. very informative!